Sciatica pain can be debilitating. The low back pain that radiates down the back of the leg, sometimes into the calf and foot is excruciating. The good news is you don’t have to suffer from sciatica pain any longer. At Bence Chiropractic Wellness Center, we’re proud to provide patient who suffer from sciatica with a personalized treatment plan that works to correct and restore optimal spine function, helping you get back to doing the activities you love without pain. We offer same day appointments – Call us at (586) 978-9900 now! 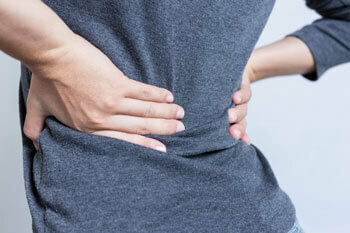 Many approach sciatica pain relief by simply numbing the pain. While this may bring some temporary relief, ignoring the cause of the pain and neglecting to treat the spinal condition properly can lead to further deterioration and even bigger problems in the future. Think of it this way – taking pain killers or having an epidural injection for sciatic pain is like freezing the root of an aching tooth. Without correcting the underlying tooth decay, you’re left with a far worse situation. Let us help you out of pain – Call us at (586) 978-9900 or book an appointment online now!